This post has been sponsored by General Mills. All thoughts and opinions are my own. This is the ninth Day in the Life post I’ve done – my first one was back in 2012 when I only had one child and my life looked VERY different. I love doing these once or twice a year, since it’s fun for me to see how different my days are depending on the time of the year (summer is different than a school year day, of course) and as our life changes. 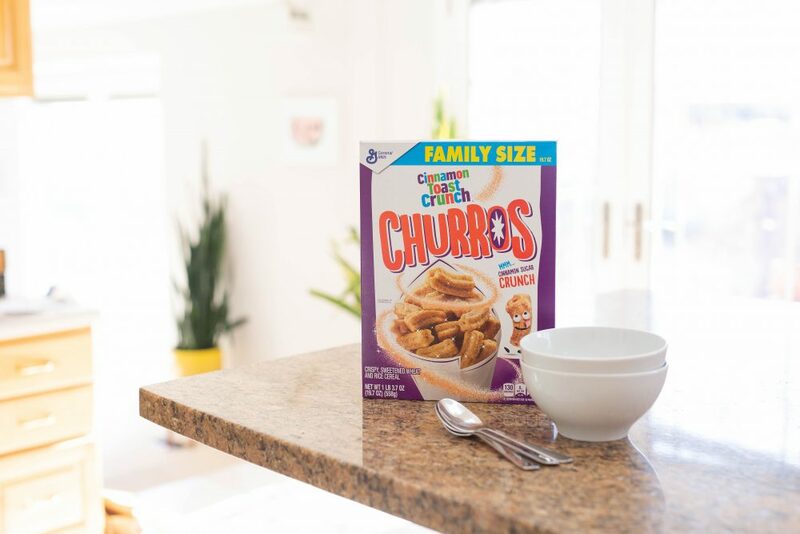 And partnering with Cinnamon Toast Crunch Churros cereal on this edition is basically a dream come true. 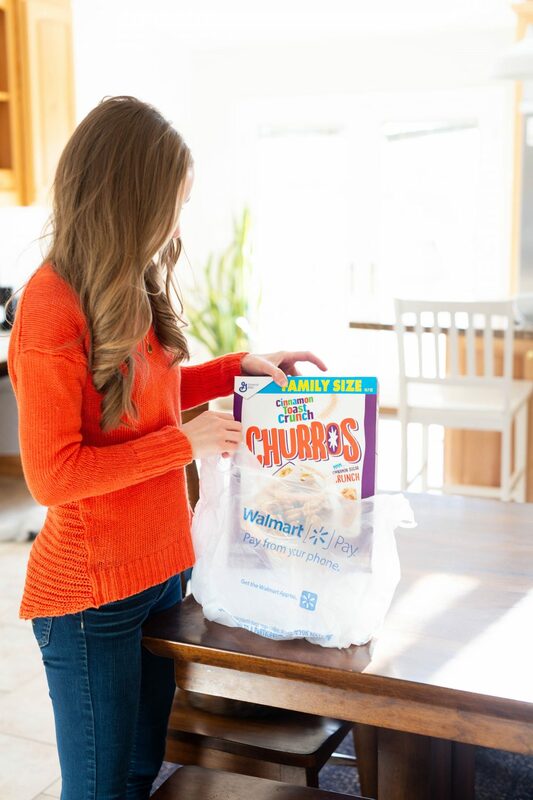 Cinnamon Toast Crunch has been my favorite cereal for as long as I can remember and we joke that Ella was born 75% Cinnamon Toast Crunch since that’s what I ate pretty much my entire pregnancy (with fresh strawberries? Nothing better). 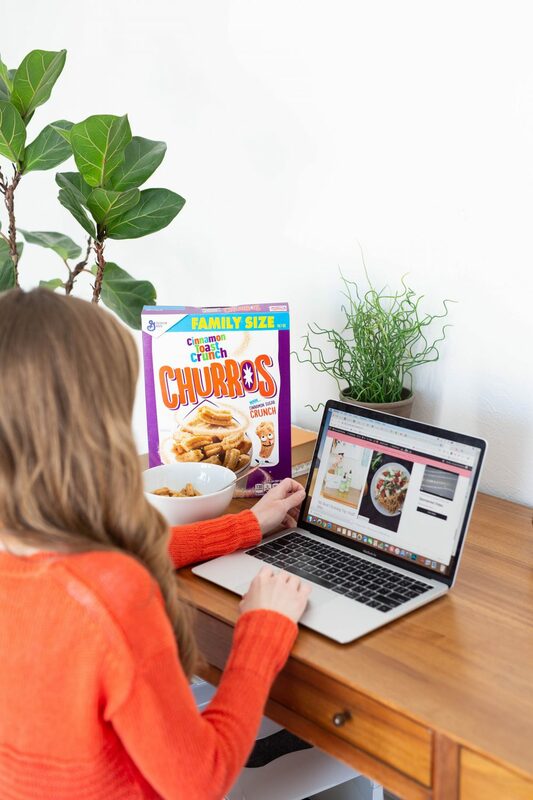 So you know the minute that they announced their NEW Cinnamon Toast Crunch Churros cereal? There was no way I wasn’t going to try it. 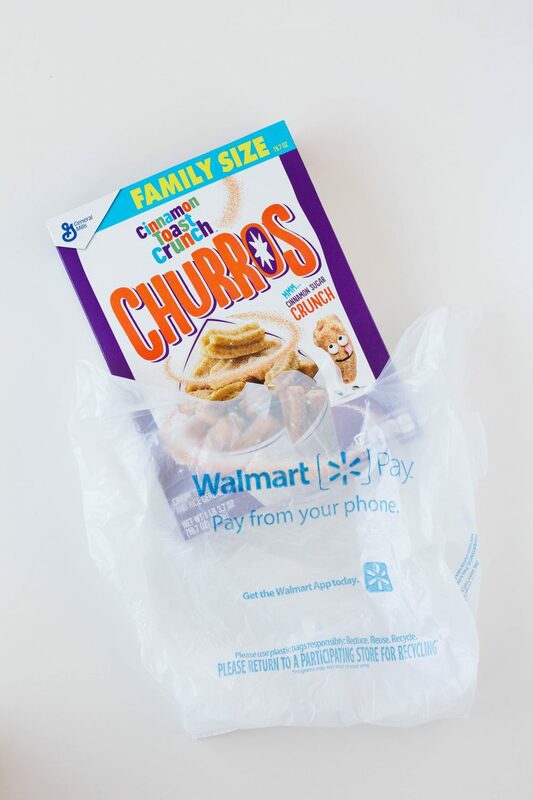 It’s available at Walmart, whether you’re shopping in the store or using their grocery pickup or grocery delivery service and it is just as good as you’d hope. You can find it at your nearest store here! 5:35 a.m. My alarm goes off. I’m crazy deeply asleep and it takes me a moment to come out of it. I get dressed in the dark then go into the bathroom to brush my teeth, put my contacts in, put my hair in a ponytail and put my shoes and socks on. And check my email, naturally. 5:46 a.m. I head out the door and drive to the rec center, listening to my audiobook on the way. I swipe my card, and catch one of my friends as we walk upstairs to the studio and wait for the 5:00 a.m. class to finish up. 6:00 a.m. RIP Class (a combination of cardio and strength training) starts. I’m basically dead in 10 seconds. 7:00 a.m. Class is over. I put my mat and weights away, and head home, squeezing in another few minutes of audiobook listening. 7:15 a.m. I come home to find that everyone is still asleep, including Star on the couch. (Apparently when she came in during the night to ask if she could sleep on the couch, Bart couldn’t go back to sleep and was up for a couple of hours). I hop in the shower. 7:30 a.m. I do my hair and makeup in my bedroom while Bart and I talk about London Littles. 7:50 a.m. Bart gets in the shower while I start making an egg/sausage/quinoa scramble for breakfast. While those cook, I check to make sure Ella is awake (she is) and then she comes upstairs and packs her lunch while I finish making my eggs. 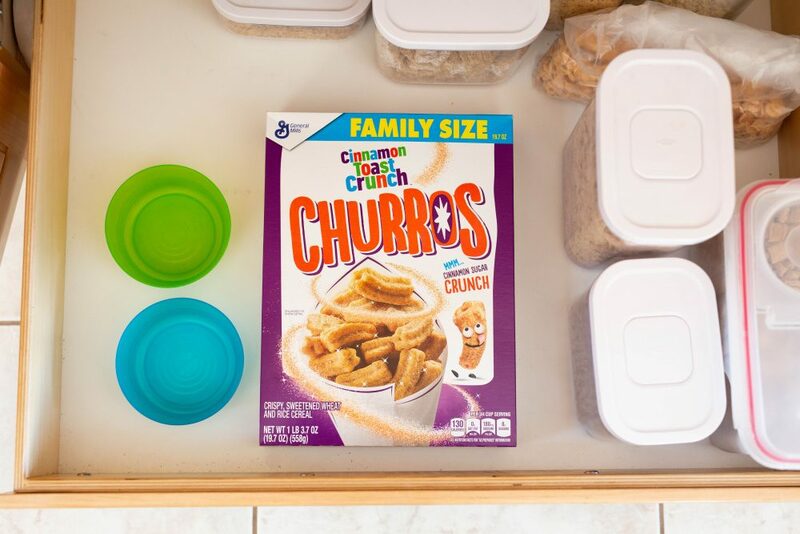 8:00 a.m. Ella gets her Cinnamon Toast Crunch Churros cereal out of the kitchen drawer while I help Star, who just woke up, get dressed, then do Ella’s hair while she eats. 8:10 a.m. I sit down to eat my breakfast and Ella reads aloud to me while I finish. When I’m done, I take over the reading aloud until Bart is ready to take her to school. 8:25 a.m. Bart gets Tally out of bed before he and Ella head out, and I get her dressed. 8:30 a.m. Our babysitter arrives and I quickly do both Star and Tally’s hair while they watch about three minutes of a show. I shut off the show, put away the hair stuff and head into my office. 8:35 a.m. I post to Instagram and share the day’s post on Instastories, then schedule a time with my photographer for when we can get together. 9:05 a.m. Ani comes into my office. She’s just woken up and is quite distraught. We snuggle for a few minutes and then I tuck her in to the big chair in my office. I send a couple of emails and then work on this post for about 15 minutes. 9:30 a.m. Ani asks if she still looks like she’s been crying and when I tell her no, she heads out to have some breakfast and play with the babysitter and her sisters. I write a book review and schedule it. 10:05 a.m. Book review done. I send a couple of emails and start working on another post. 10:45 a.m. I work on London Littles, answering emails and responding on Instagram. 11:35 a.m. Star comes in completely beside herself because she and Ani are arguing over a kitchen chair (note that all of our eight chairs are COMPLETELY IDENTICAL). I snuggle her for a few minutes until the babysitter convinces her to come back out and she’ll show her how to make bunnies out of apples. 11:40 a.m. Last push before my babysitter leaves – I quickly respond to some emails. 12:00 p.m. My babysitter stays a few extra minutes so I can run down the street and pick up my nephew from preschool for my sister-in-law. 12:05 p.m. The babysitter leaves and the girls get their shoes on. Ani insists she does NOT want to go to school today, so I tell her she still needs to come with us to drop off my nephew and Star who is going over to play with him. In the car, she decides, fine, she’ll go to school. 12:30 p.m. I get home just in time for my Walmart grocery delivery (you guys, their grocery delivery has SAVED my life over the past four months) and Tally enjoys helping me put everything away, carefully pulling groceries out of the Walmart bags and bringing them to me to put in the fridge or pantry. 12:50 p.m. We read some books together and then I put her into bed for a nap, then pop some chicken in the oven to cook for a soup I’m making for dinner tonight. 1:00 p.m. I respond to a whole new pile of emails and texts, do some Instagram Stories about audiobooks, and update this post. 1:40 p.m. I should probably eat something. Because I have a big breakfast, I’m usually not in the mood for a full-on lunch and cereal is one of my go-tos. 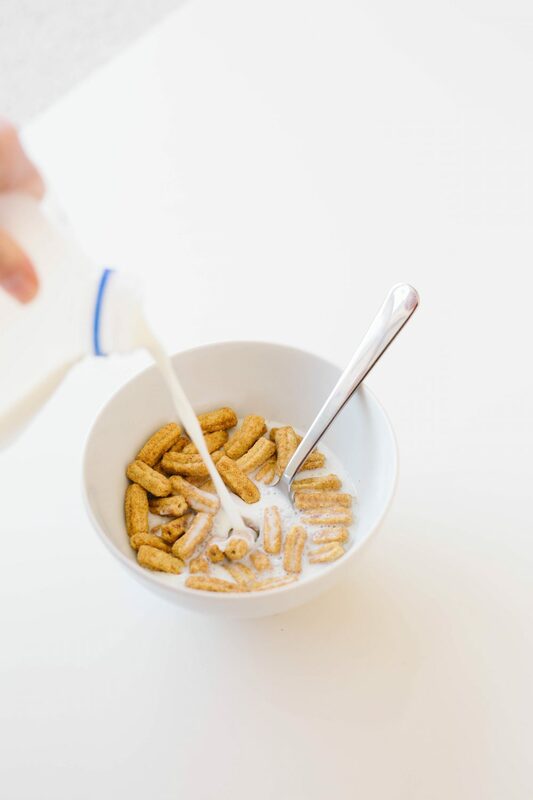 A bowl of Cinnamon Toast Crunch Churros hits the spot. 2:00 p.m. I get my post for tomorrow completed and scheduled. 2:20 p.m. I start working on another post and . . . I can tell I just DO NOT WANT TO WORK. I keep finding excuses to do other things, like requesting books from the library and adding things to my calendar. 3:05 p.m. FINISHED! I’m irrationally proud of myself. I quickly finish up some emails and post to Instagram. 3:15 p.m. I hear Tally chatting in her room which is perfect timing because we need to go get the girls from school. She needs a diaper change, so I quickly take care of that and pop her into the car. We pick up the two big girls from school and drop Ella off at Chinese tutoring and then go get Star from my sister-in-law’s house. 3:45 p.m. The girls have a snack and Ani asked earlier if she could play on the computer after school, so I set them up with a game and then sit down with a book to read until it’s time to pick up Ella. My niece stops by to drop off some mail. 4:25 p.m. The timer to remind me to leave goes off and even though I gave the girls a five minute warning, they lose their minds about having to be done and go out the car sulking and crying. I remind them that this kind of behavior is the reason we don’t usually play on the computer and if they want to have another chance anytime soon, they better pull it together. 4:30 p.m. We pick up Ella and on the way home, I remind them that Bart’s brother and sister-in-law are coming for dinner and that when we get home, it’s the time to do their afternoon chores. I’m surprised by how cheerfully they do it (especially Ani, who is often resistant). I direct and vacuum most of the downstairs, plus put away some things that have been sitting out for WAY too long. 5:20 p.m. The house looks pretty good now and Ella opens the box of nail pens that she earned from her online math class and carefully paints her sisters’ nails while I update this post. Time to work on dinner. 5:30 p.m. I chop vegetables and get my soup going and then, while those cook, I start a cake for dessert. The girls clean off the table and wipe down the chairs, getting a little overenthusiastic about spraying. 5:55 p.m. Bart’s brother and sister-in-law arrive with Bart just moments behind them. They play with the girls while I finish up the soup and Bart sets the table. 6:10 p.m. We sit down to eat and catch up about everyone’s week. 6:40 p.m. The cake is out of the oven and while it cools, I make the praline topping. Bart does the dishes while Andrew and Natalie clear the table. 7:00 p.m. We eat the cake with some vanilla ice cream (delicious!) and then Ella insists on doing some nail art on Natalie before they leave. 7:15 p.m. Bart takes out the trash and recycling while I get the baby ready for bed and the big girls get in their pajamas and brush their teeth. 7:30 p.m. I read a book to Tally and then tuck her into her crib. I put on my pajamas and we have family scripture reading and prayer, and then I do a little reading practice with Ani. 8:00 p.m. The girls go downstairs to listen to their audiobooks in bed and I help get everyone tucked in with the right blankets. Bart heads outside to put our new license plates on and I finish up some work, schedule some time to get together with friends, post to Instagram, and do my personal scripture reading. 8:55 p.m. There are now tears downstairs, so I head down to shut off the lights and shut down any shenanigans. 9:00 p.m. I brush my teeth and take out my contacts and wash my face, then head into my room where Bart is finishing up some work. We finish the episode of Blacklist that we started last night and then, because we’re feeling rebellious, we watch a full second episode. 10:21 p.m. I set my alarm for 6 a.m., turn off the lights and good night! And then it starts all over again tomorrow! I’m sure I’m not the only one who’s thinking this, but why is every single one of your blog posts an ad lately? This blog’s title is “Everyday Reading” and there’s practically no bookish content on here (except when it comes to children’s books). I’m sorry, but I’m unfollowing. Too many ads, not enough bookish content, and if you’re going to start promoting unhealthy, surgary cereal on here then I’m out. I’m so sorry to hear this and I apologize for your disappointment in Everyday Reading. For reference, this is the first sponsored post I’ve done this month and of the eight other posts I’ve published in February so far, five of them have been book-related (a list of Valentine’s Day books, a review of Sophie Kinsella’s latest adult novel, a post about Audible Originals audiobooks, how to use a tablet for audiobooks for children, and fantasy book recommendations for elementary schoolers). Sponsored posts are also one of the main reasons I’m able to keep Everyday Reading going at all. Without them, I’d need to shut down my blog entirely because I couldn’t justify the time it takes to run or afford a babysitter so I have that time or pay for hosting my blog, running my email course, and the other costs that go into keeping it up. 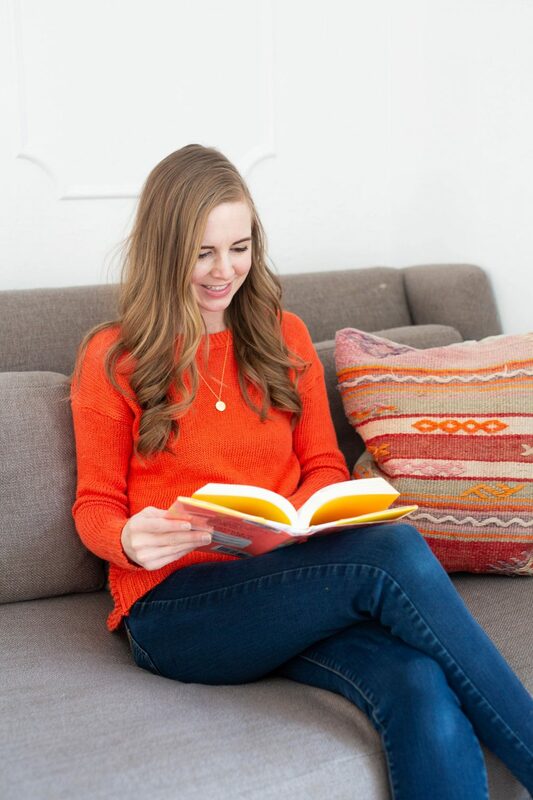 It’s an honor for me to work with brands that I love and I’m very grateful that they make it possible for me to share about books and reading with your children on my blog almost daily without having to charge my readers for it. I completely understand if my blog isn’t a fit for you anymore and I’m hopeful that you can find other blogs that better meet your needs! This was such a classy and respectful response! Thank you! I appreciate that a lot! I second Catherine. What a gracious response. You are a class act. I love these day-in-the-life posts! It sounds like you have such a busy, full life. And now I am going to have to look up “nail pens” because that sounds like something my kiddo would love. They have been a huge hit! And less messy than regular nail polish. 1) My child is ALWAYS waaaaay too enthusiastic with the spraying too. 3) I LOVE reading how others spend their days. Thanks for sharing! Yes! I’ll do a post about those chores in a couple of weeks. And thanks for being so nice today and always – your name in the comments section always brightens my day! This would be great, we are trying to get regular chores going over here! I adore reading the day-in-the-life posts. And now I want to know how to make bunnies out of apples! Sounds fun! I should ask her next time! I don’t know how either but it’s clearly VERY popular with my girls. Thank you so much for this nice note – you are always so kind and encouraging and I appreciate it more than I can say! Thanks for sticking around all these years. I enjoyed reading this too! Love your blog. I really enjoy the variety of topics you post about. In fact so many of your recipes are in our “regular rotation” that now if I try a new recipe you get the credit for it from my husband whether it is your recipe or not. Thanks! This is awesome! He’s got a fan for life. I used to really like your blog but I have to say, I’m disappointed at how mercenary it has become. I’m surprised to see you plug a cereal for your kids that is pure sugar. That seems out of character. The truth is that I like sugar and my children like sugar. And we try to balance that with other non-sugar foods. Frankly, it’d be much more out of character for me to pretend that we only ever eat organic vegetables or made-from-scratch items. And I’m very sorry to hear that Everyday Reading feels mercenary. It is a for-profit business and I rely on sponsorships to make it possible for me to provide so many free resources for families, but I try very hard to never make it feel salesy or that you MUST buy whatever I’m talking about. I also recognize that we all change over the years and if my blog is no longer adding value to your life, I completely understand if you don’t feel like your time is well spent here. That is a great response. I really appreciate how thoughtful you are. Love your blog. And I love that the library is where I can find most of the things I would want from your blog. Isn’t that awesome? I feel really lucky that what I most want to talk about is something that’s available for free so much of the time. (Well, free if we pretend taxes don’t exist). I LOVE your day in the life posts. The last time you wrote one I went back through your archives to read all of them – so fun to see how things have changed. It’s just fun to see a real day unfold and I love seeing how other people manage their time. Also, I’ve been a fan for years and these days, your blog is the only one I read with any regularity any more. You’re always so genuine and relatable. I always look forward to what you’re going to do next – even the sponsored posts because bloggers shouldn’t have to work for free! You’re handling the haters with grace, but I thought it might be nice to hear from a longtime fan today too – your work here is FANTASTIC. Allison, I have respected and admired you since I was introduced to you and your sweet family when we were both writing for Good Life Eats. Your support and encouragement mean more to me than I can say. I know how MUCH you have on your plate, and you spending the time both to read and comment with such regularity doesn’t go unnoticed. So much love to you and your sweet kids. Love your blog. It feels like you are a friend from down the street. Someone I would ask for a dinner idea, how do you do chores, how do you budget your time, books to read, etc. I love how real you are to everyone. Keep it up! Am I going to be sad for the rest of my life that we aren’t next-door (or up-door?) neighbors? Yes, yes I am. I have to say I loved this post as I love all of your others. You are one of the few people who when doing ad posts you make the post not just about the product but work it into whatever else you are trying to say. While this is an ad for a cereal, you made it more about your day in the life! I love this blog! Thank you so much! I really appreciate you taking the time to say so – it means more than you know! I have to agree with your other supportive posters; your content is so helpful to me! As a homeschooling mom I am always looking for quality children’s literature, especially for older elementary and middle grades and your suggestions are always awesome. I typically check out books for my kids from the library so by following your blog I’m able to get great free books for them (and myself) for free. I realize because of this, you do a lot of work picking books and reviewing them and sometimes don’t see the direct impact. You should most definitely be financially compensated for putting quality content out to your followers; otherwise, why would you take time from your own family to do it? Thank you for your hard work! I agree with what so many others have said. Your blog is one of my favorite places on the internet. I love how real you are here – even though I rarely comment I am a long time reader and sometimes I even find myself thinking, “I wonder what Janssen thinks about this or that.” Even when you have sponsored posts, you integrate it so gracefully into content that I truly want to read. I love a sugary cereal every once in a while too! Keep up the fantastic work! Seriously, you guys are all the nicest – thanks for being the best readers I could ever ask for. I really love your day-in-the-life posts. My kids are teenagers now; it’s fun to think back to those busy, crazy days. I know not every day is perfect, but you seem like a genuinely good mom, and you love your girls a lot. Thanks for sharing! BTW, I don’t follow blogs cause I’m old, but I’ve been reading yours for years and trying all kinds of new-to-me recipes and books. Thanks for that too! Oh, you are the nicest. Trying hard to be a good mom! These are my favourite kind of posts of yours! Do both your older girls go to school? Does Ani just go part time? I didn’t see a time when you dropped Ani off but then you picked both of them up. I’m always curious how other families manage multiple schedules and school pick-up and drop-off. Yes, Ani just goes to afternoon kindergarten so I take her after lunch!